In 2014, in honor of William Dean Singleton, Chairman and former Publisher of The Denver Post, and the tremendous impact he has on our community, The Denver Post Community Foundation created this special $50,000 legacy grant to be awarded each year to one unique, deserving nonprofit organization doing high impact work to benefit others in our community. The Denver Post Community Foundation was proud to present its 5th Annual Dean Singleton Legacy Grant to Take Note Colorado on October 3, 2018. 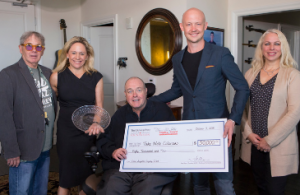 This $50,000 grant will enable Take Note Colorado to continue working towards their goal to provide access to musical instruments and instruction to every K-12 student in Colorado. Ensuring Colorado students get the opportunity to experience and play music is a fulfillment of the cultural spirit of the state, as well as a crucial investment in the continued growth of the thriving arts community. Under the leadership of co-chairs Governor John Hickenlooper and Isaac Slade, lead singer of The Fray, Take Note Colorado is an initiative built on the belief that everyone can play a role in bringing music into the lives of students. Pictured from left to right are steering committee members Chuck Morris, AEG Presents Rocky Mountains; holding the crystal award – Libby Anschutz, The Anschutz Foundation and Tracksuit Wedding; Dean Singleton, Legacy Grant namesake; co-chair Isaac Slade, lead singer of The Fray; and Karen Radman, executive director of Take Note Colorado and Colorado Music Coalition. 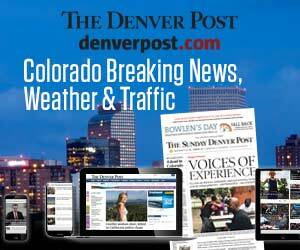 To learn more about the 2018 recipient, Take Note Colorado, click here. The Denver Post Community Foundation was proud to present its 4th Annual Dean Singleton Legacy Grant to Phamaly Theatre Company on October 11, 2017. This $50,000 grant will enable Phamaly to continue providing mainstage performance opportunities and professional development classes and workshops to its actors throughout the year, as well as to bolster organizational sustainability. It will also support new initiatives next year including the creation of a brand new, devised educational touring show about artists with disabilities, which will debut in 2019. 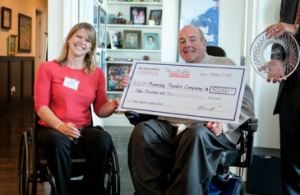 “I couldn’t be more proud of our grant recipient this year, for what they do to inspire people to re-envision disability through professional theatre,” said Dean Singleton, the Legacy Grant namesake. “Phamaly provides such a benefit to the Metro Denver community by producing professional scale plays and musicals cast entirely of performers with disabilities. To learn more about the 2017 recipient, Phamaly Theatre Company, click here. 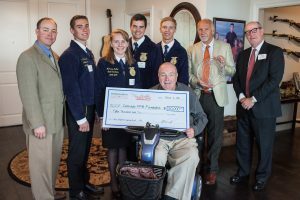 The Denver Post Community Foundation presented its 3rd Annual Dean Singleton Legacy Grant to the Colorado FFA Foundation on Wednesday, Oct. 5, 2016. This year’s grant will assist FFA students to start or enhance an enterprise through a supervised and mentored program. By providing grants to students, they can explore areas of agriculture of interest to them as well as look at innovative projects and practices or niche markets. Students will apply in the fall for scholarships ranging from $500 to $1,500 and if selected, will work with their agricultural education instructor as well as community mentor to develop and grow their project. For more information on Colorado FFA Foundation, click here. 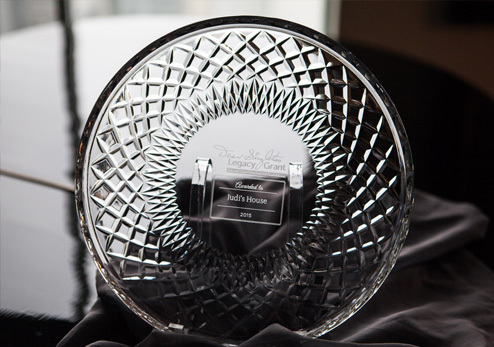 The 2nd Annual Dean Singleton Legacy Grant was awarded to Judi’s House on October 6, 2015, for their great work and dedication to helping bereaved families. This years’ grant will provide 38 children with the Pathfinder’s Program for a year. Pathfinders is a research-based, ten-week curriculum developed at Judi’s House that is tailored to meet the needs of bereaved children and families. “Judi’s House is honored to receive this year’s Dean Singleton Legacy Grant. 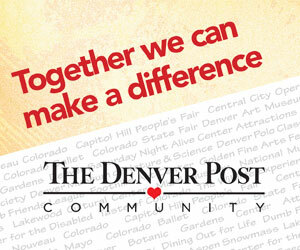 We are grateful for our longstanding partnership with The Denver Post Community Foundation and the many ways it has supported our critical services for grieving children and families. 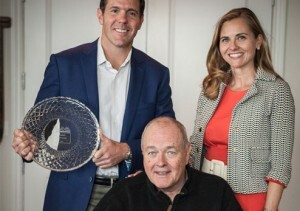 We consider Dean not only one of our biggest advocates in the community, but also a dear friend,” said Judi’s House Founders Brook and Brian Griese. For more information about Judi’s House, click here. 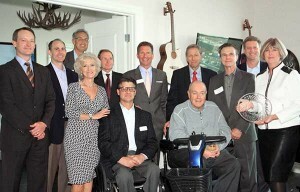 For more information about the National Sports Center for the Disabled, click here.